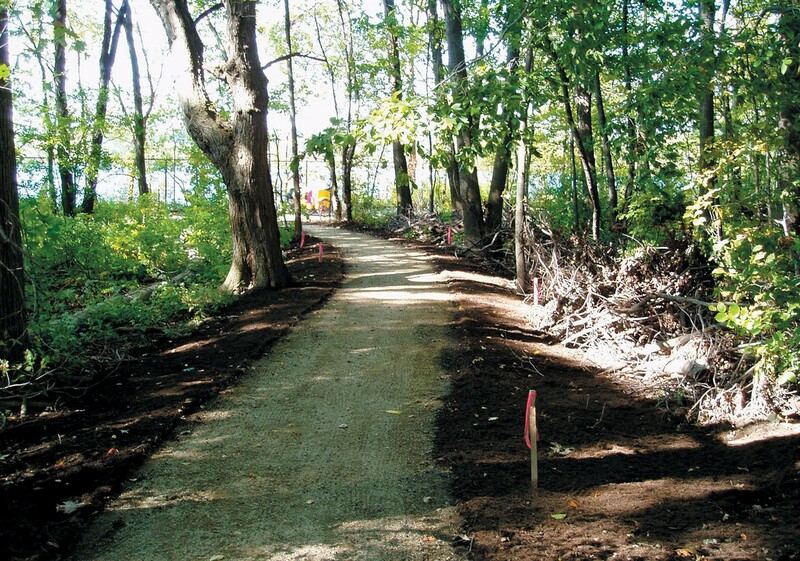 The City of Cambridge retained CRJA-IBI Group to design and implement the first major phase of the Master Plan for the Fresh Pond Reservation, the 162-acre preserve that surrounds one of the City’s drinking-water reservoirs. 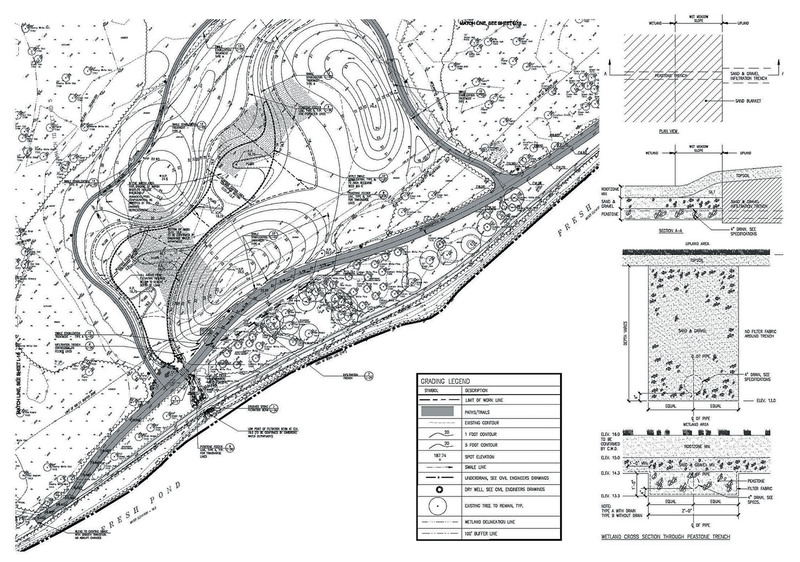 Following an extensive site analysis of slopes, solar orientation, soils, woodland vegetation, and prevailing winds, CRJA-IBI Group developed a master plan for the Northeast Sector that balances water quality concerns with the public’s expectations for improved recreational opportunities. To help achieve consensus on the design approach, CRJA-IBI Group led the public participation process for the City. CRJA-IBI Group’s highly-trained in-house staff and sub-consultants worked together to manage invasive species in the woodlands and to stabilize slopes and control erosion. The team proposed a wet meadow to increase flood storage and to filter runoff that previously drained directly into the Reservoir. Public amenities include a new youth soccer field, upgraded community gardens, parking, and a system of pedestrian paths that will accommodate universal access. In addition to the enhanced trail system, passive recreation amenities include a butterfly and wet meadow and a variety of gathering areas. CRJA-IBI Group provided full design and construction administration services for the project. 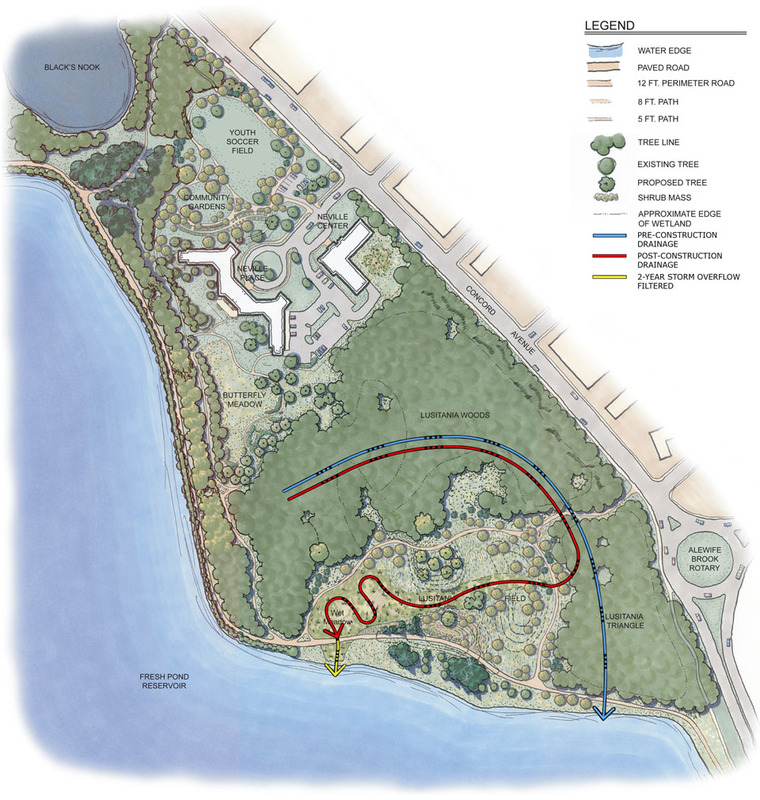 While pre-construction drainage flowed directly into the Reservoir (red line), with the construction of the meandering wetland, stormwater run-off flows through the densely planted wetland, which filters out solid and particulate matter. 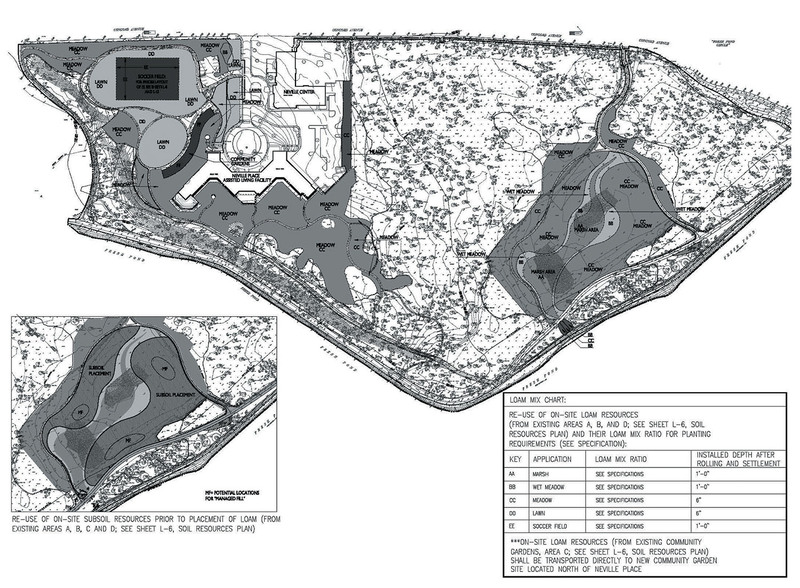 Intensively used areas, such as the soccer field, open lawn areas, parking, and community gardens, are located near the public roadway and outside the watershed of the Reservoir. 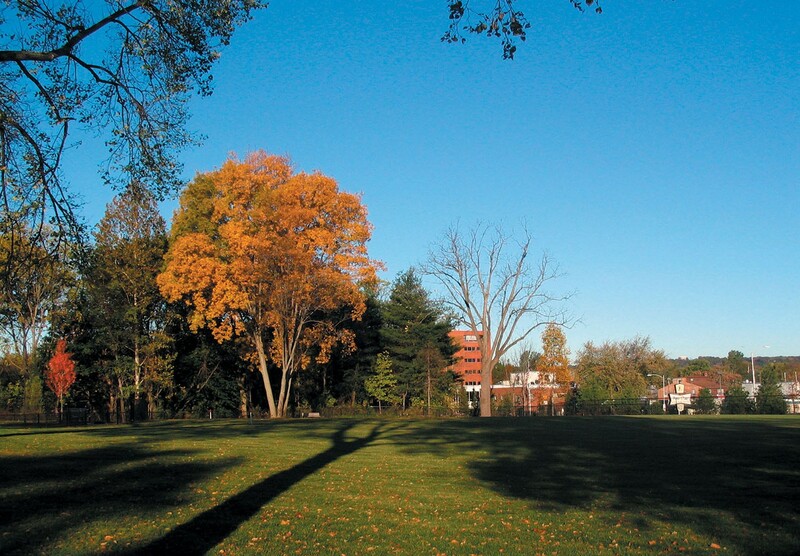 Social diversity is created through the grouping of the soccer field, for the youngest Reservation visitors, with Neville Place and Center, an assisted living facility for the oldest users, and the community gardens, serving visitors of all ages. 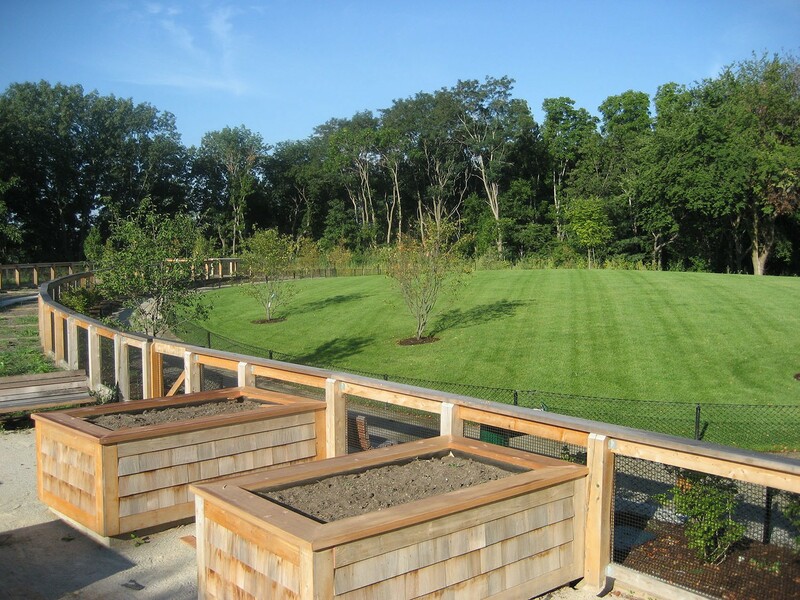 The community gardens provide accessible raised beds to accommodate users of all ages. 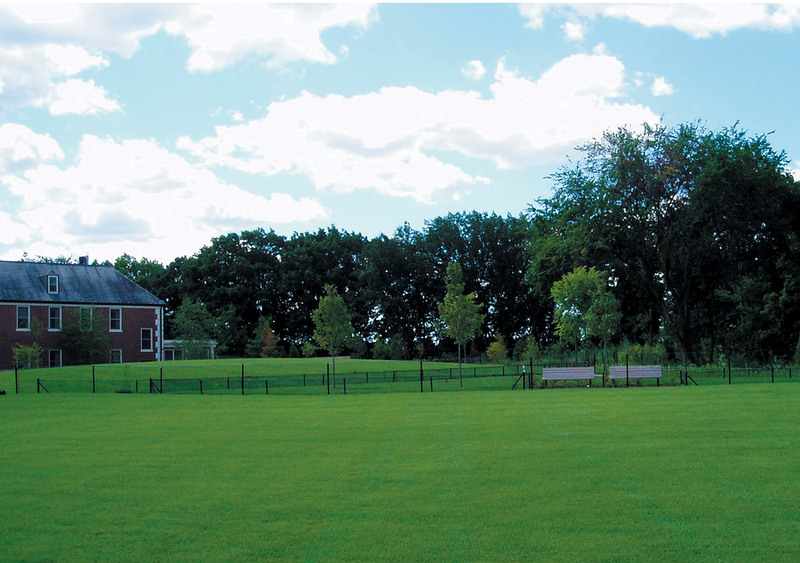 The walkway sweeping past the open lawn and community gardens leads the visitor to the more natural areas of the Reservation. 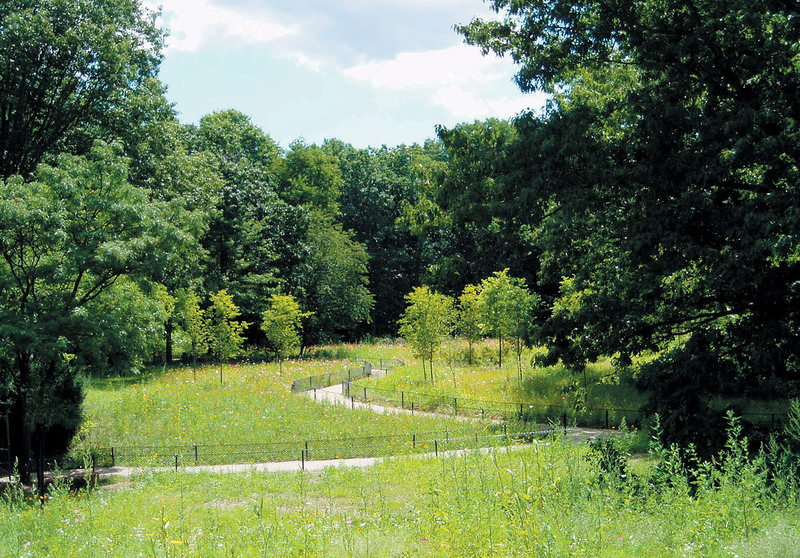 Where previously a makeshift community garden existed within the watershed of the Reservoir, pathways now arch through a meadow, for which the plantings and the seed mix were selected to attract butterflies. 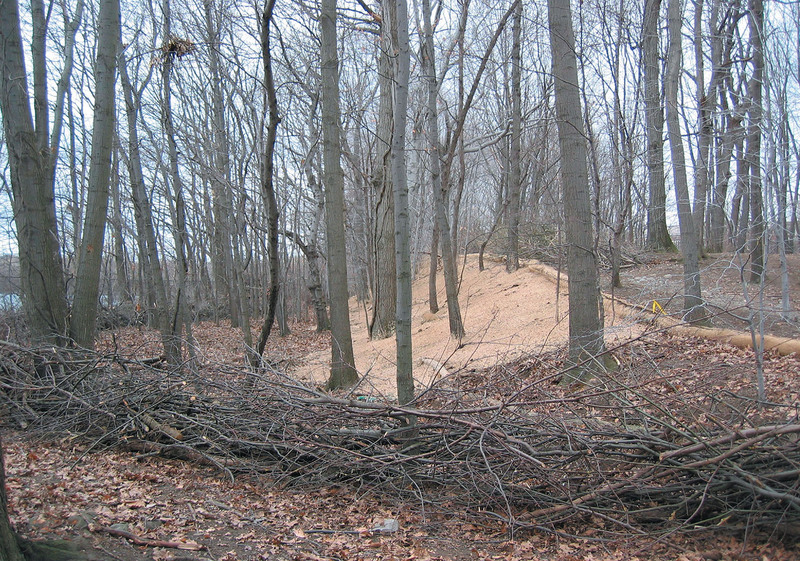 New semi-permeable stabilized aggregate pathways within the existing woodland are constructed directly on the forest floor without excavation, minimizing damage to existing tree roots and forest soils. 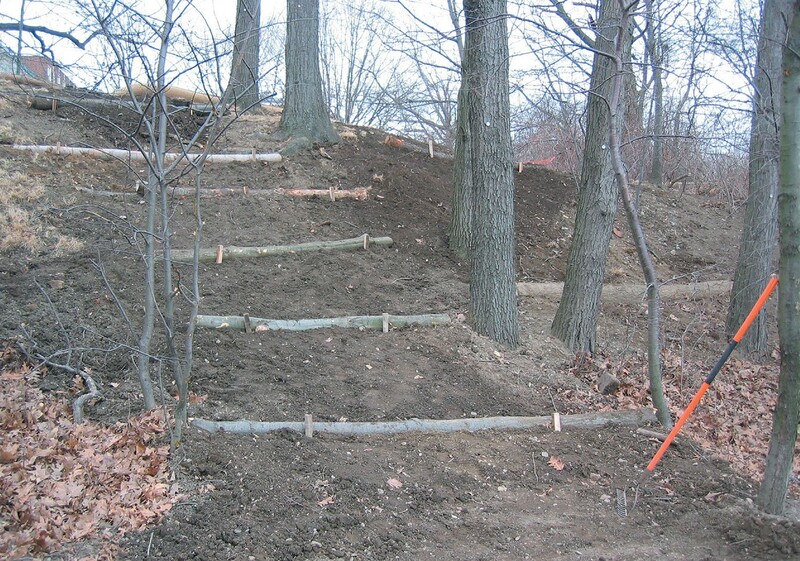 Brush barriers, compost mulch logs, temporary fencing, and the spraying of slopes with an organic bonded fiber matrix, which included a specially designed mix of wildflower, grass, and shrub seeds, are employed in the restoration of degraded slopes. The trunks of native trees removed from the site are embedded into eroded slopes to slow run-off, protect the Reservoir from organic material and sediment, and enhance the growing conditions for new plantings. 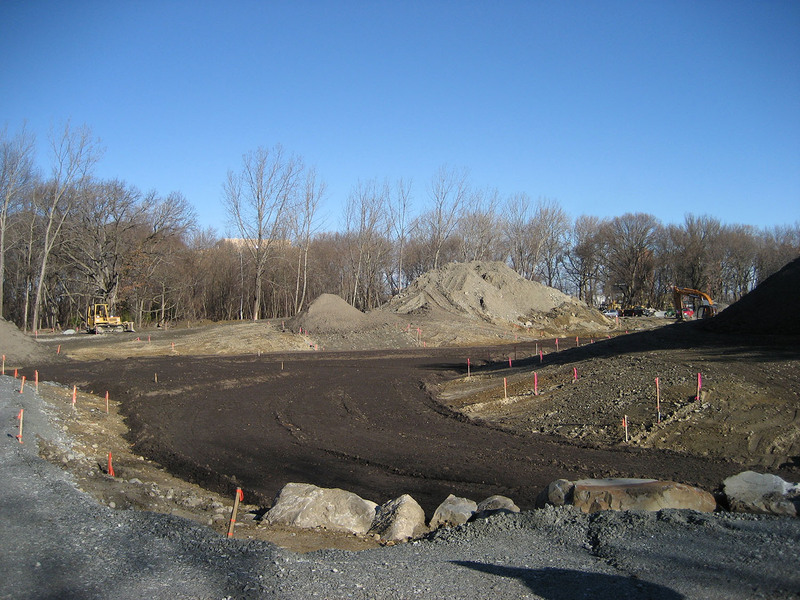 Amended on-site soils and a pile of derelict soil left from previous construction generate some 5,000 cubic yards of specially-designed soils for reuse in the various ecotones created within the Reservation. Soils designed for various growing conditions are segregated into separate piles within the future Lusitania Meadow. Soils designed for wetland conditions are spread within the meandering zone designated for wetland species. 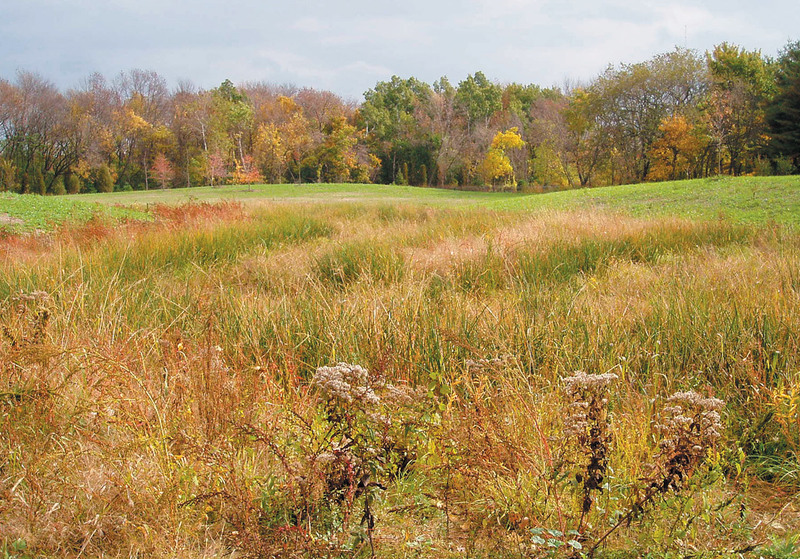 Within the meandering course of the wetland, subtle changes in elevation create several ecotones. Wetland species have been carefully selected for these specific growing conditions. An innovative two-way system drains the wetland during wet months and feeds the wetland during dry months through an infiltration trench connection to the existing accessible groundwater nearby. 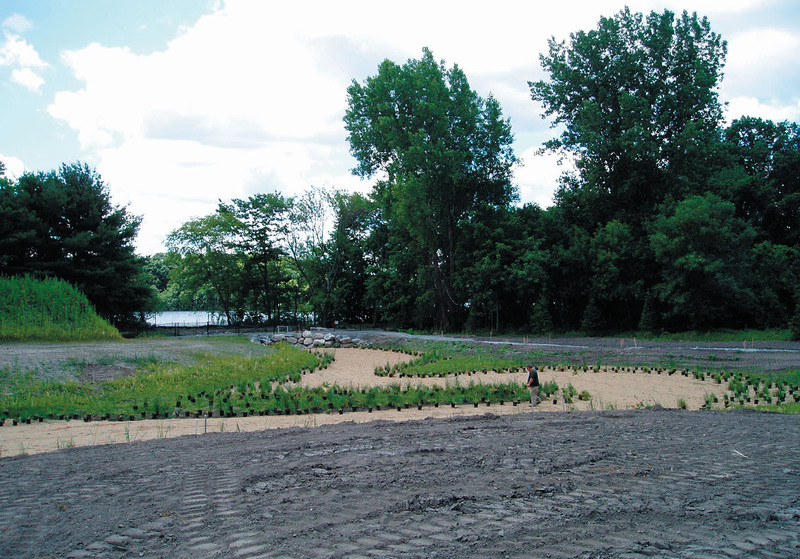 The constructed wetland within three months of planting. The deliberate circuitous routing of the wetland is evident in the autumnal patterns of color and texture.